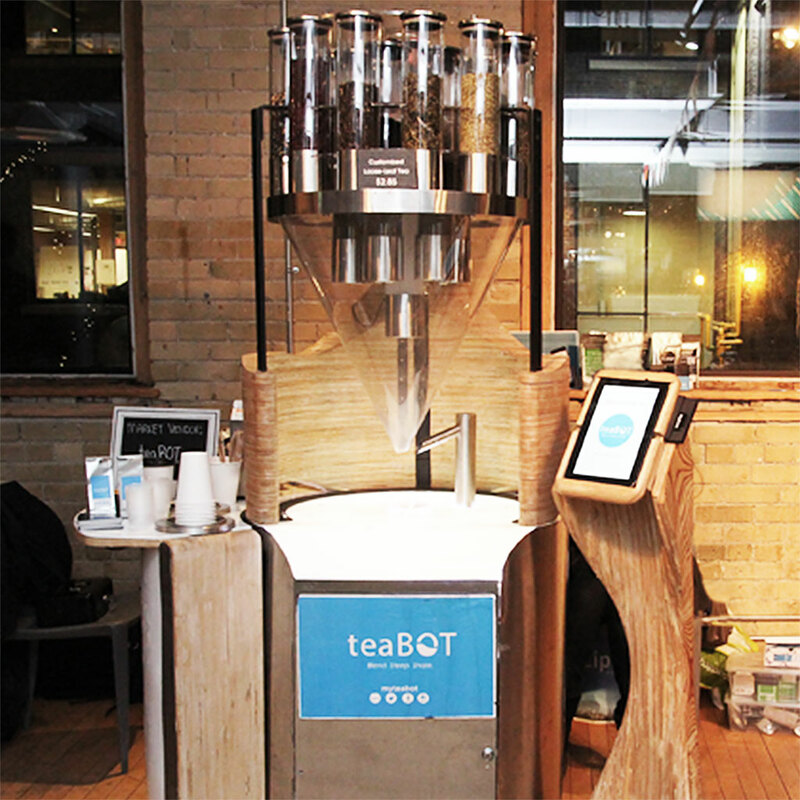 Here’s a robot that will get your inner Englishman excited: teaBOT – the tea making robot! But before you start imagining The Jetsons’ Rosie with a British accent, it’s important to know that teaBOT isn’t a “robot” in that traditional sense. Instead, the machine is a “robotic kiosk” allowing users to order custom beverages brewed from loose-leaf tea at the touch of a button, spit out in under 30 seconds. In some ways, its tea-filled silos look reminiscent of a complex candy dispenser, albeit one that’s more likely to give you a mild pick-me-up than a sugar rush. For tea lovers, the options are plentiful. Not content with ordering a house blend? No problem. You can make your own blend or choose one from the user database – and do it all from your smartphone if that’s your cup of tea, though the machine does have its own built-in interface. According to a promotional video, customers can even choose things like strength, caffeine levels and water temperature. Despite all my allusions to the UK, teaBOT is actually a Canadian company, based in Toronto. They just started operating their first machine in America at Coupa Café in Palo Alto, California, and are hoping to bring these kiosks to more locations soon focusing primarily on cafes and college campuses. Yes, I know you’ll miss getting that dear-in-the-headlights look when you order a tea from Starbucks, but on the bright side, teaBOT probably won’t get your name wrong.